Lawyers made their final arguments in the trial of a former RCMP officer accused of using a computer to lure two females under the age of 16 for a sexual purpose in 2012. 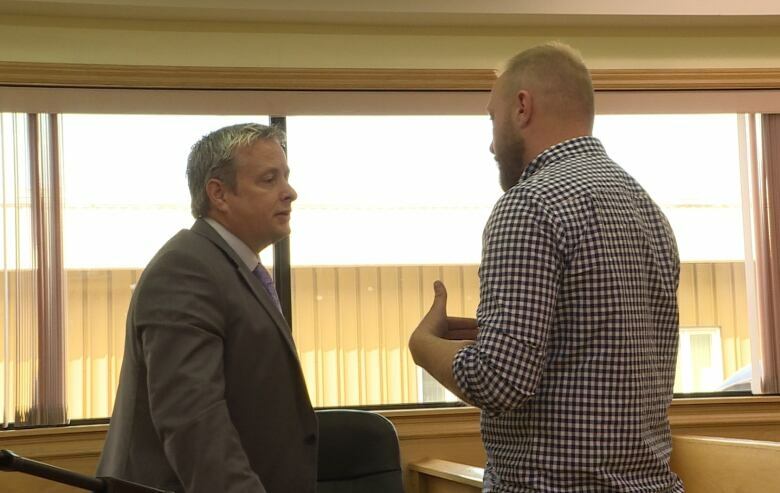 The accused, Ian Kaulback, who was stationed in Hopedale at the time the alleged events were said to have taken place, appeared by video link at provincial court in Happy Valley-Goose Bay Monday afternoon. 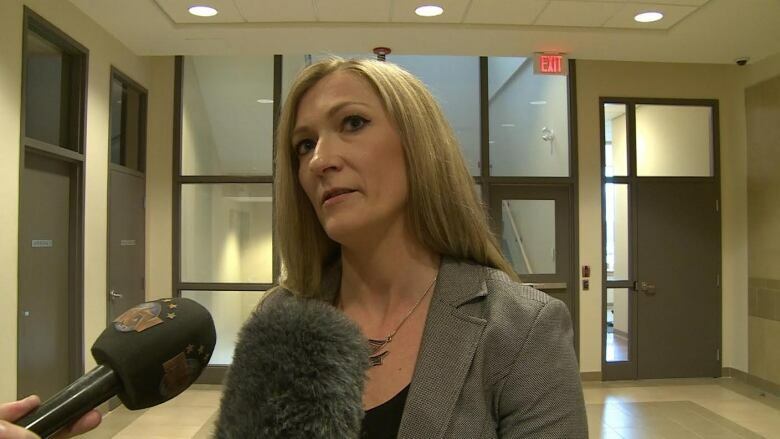 “The issue here is identity,” defence lawyer Jason Edwards said. The defence challenged forensic evidence police gathered from computers seized at the time of Kaulback’s arrest which consisted of chat records between between the girls and accounts the Crown says belonged to Kaulback. “Our biggest concern all along was the failure of the Crown to properly explore computers that they seized,” Edwards said. The court also heard testimony from both female complainants. Their identities are protected by a publication ban. Edwards challenged the testimony of one of the complainants, saying her testimony was suspicious and that perhaps she wasn’t telling the entire truth. He characterized Kaulback’s testimony at the trial as forthright. “He admitted to having met her in passing at Tim Hortons and only insomuch that he knew who she was because she was from Hopedale where he was stationed,” Edwards said. Crown prosecutor Trina Simms maintained its assertion that the communication had indeed occurred between Kaulback and the girls. “There is so much evidence pointing to him as being the only person who was able to do it that it makes out the identity element of the events,” Simms told the court. Simms said there was evidence of Facebook contact between him and evidence of a Skype chat, in which he allegedly asked the girl to take off her top, on his computer. She said there was also evidence within the chats that pointed toward his identity, such as references to his employment as an RCMP officer. Edwards argued that information was public knowledge and could have been used by anyone in the chats. The chat records also contained references to a meeting Kaulback did recall having with one of the girls at a Tim Hortons restaurant in Happy Valley-Goose Bay. “He did testify that he wasn’t part of either of these conversations, the Crown would suggest that that’s not truthful, that he was in fact the person who was sitting in the chair typing on the keys in relation to both of those conversations,” Simms said. Judge Phyllis Harris said she’d need several weeks to come to a decision and set the next court date for mid-March.